Few announcers have more credibility with the Spanish-speaking audience than WBUR’s José Massó. 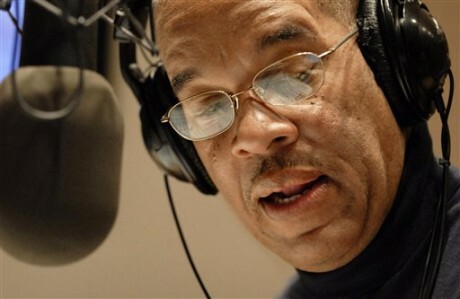 During his long career in radio, he has been a trusted friend to Latino and Latina residents of Boston, as well as listeners in Lowell- Fitchburg area. And because his program is bilingual, he has also introduced Latin music and culture to a wider audience. Few announcers have more credibility with the Spanish-speaking audience than WBUR’s José Massó. During his long career in radio, he has been a trusted friend to Latino and Latina residents of Boston, as well as listeners in Lowell- Fitchburg area. And because his program is bilingual, he has also introduced Latin music and culture to a wider audience. Raised in Old San Juan, Puerto Rico, a graduate of Antioch College in Ohio, Jose came to Boston in 1973, and taught bilingual classes in the Boston Public Schools, before being hired by Governor Michael Dukakis as a liaison to the Hispanic community. He has also been a member of Boston Mayor Thomas Menino’s Office of Cultural Affairs. It was his students who encouraged José to get into broadcasting. There were few Latin music programs on the air in the 1970s. So he auditioned at WBUR FM, and on June 22, 1975, ¡Con Salsa! made its debut. His groundbreaking program became so popular that earlier this year, Massó celebrated 35 years on the air as the host and producer. While his program is known for its wide variety of music he also engages listeners in conversation about issues that affect the community, and he is not afraid to take a stand. The versatile Massó has also spent 15 years doing television: beginning as host of the Emmy Award-winning bilingual public affairs program Aquí, on WCVB-TV and later as host of La Plaza on WGBH-TV.